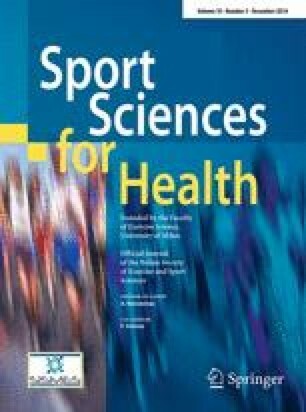 The main aim of this study was to examine differences in physical and physiological characteristics, with an emphasis on anaerobic power, of male basketball players by age and playing position. Basketball players (n = 101), classified into three age groups: under 15 years (U-15, n = 35, 14.28 ± 0.72 years), under 18 years (U-18, n = 35, 16.23 ± 0.74 years) and older than 18 years (Elite, n = 31, 25.66 ± 5.09 years), participated in this study. The variables under examination were anthropometric characteristics, body composition, physical working capacity test, 3-min step test, Wingate anaerobic test, force–velocity test, sit-and-reach test, handgrip strength test and countermovement vertical jump with arm swing. U-15, U-18 and elite players differed for all aforementioned parameters with the older group scoring better than the younger (η 2 ≥ 0.06, p < 0.048). In Elite group, centers were heavier and taller than guards (22.3 kg and 20.9 cm, respectively) and forwards (14.3 kg and 10.6 cm), and forwards were taller than guards (10.2 cm). Guards’ scores were higher than centers in maximal power (3.61 W kg−1) and in peak power (1.39 W kg−1). Forwards scored higher than centers in mean power (1.25 W kg−1). In the U-18 group, guards were stronger in the relative strength than centers (2.4 kg kg−1). In the U-15 group, centers were taller than guards (17.8 cm) and forwards (9.7 cm), and forwards were also taller than guards (8.1 cm). Based on the findings of this study, it is concluded that positional differences, especially in anaerobic power, in male basketball vary by age. Thus, young basketball players should not be regarded as miniature adult basketball players with regard to their physical and physiological characteristics, and their positional specialization. An erratum to this article can be found at http://dx.doi.org/10.1007/s11332-014-0205-x. There are no conflicts of interest in this paper.